Healthy tips to help long distance truck drivers with unhealthy habits. Long distance truck drivers are subjected to traveling extremely long distances which can force them to be away from home for weeks or days on end. For many, this career path often leads to unhealthy lifestyles because the nature of the job is monotonous and it requires one to be sedentary or inactive for long periods. In addition to ensuring that their safety is maintained, truck drivers should also ensure that their health and fitness is at par. Because long haul truck driving can be exhausting and sometimes overwhelming, there is a particular lifestyle that truckers must maintain to avoid living unhealthy lifestyles which can be debilitating for the driver’s health as well as his capacity to drive carefully. Although rest stops throughout the road can be helpful when a driver needs to take a break, such rest stops are often characterized by fast food restaurants designed to help truckers save time. Additionally, many truckers often rely on huge amounts of caffeine, junk food, and stimulating drugs such as miraa to stay energized and pass the time. These substances are often unhealthy and can cause health concerns for the driver. Maintaining healthy habits while on the road is vital because they can help truck drivers avoid fatigue and burnouts so that they can drive for longer safely. Eating and snacking on healthy meals while on the go is a great way for long distance drivers to ensure that they are full until they can make a proper stop to get a healthy dish. It is very easy to find a healthy snack while driving. Fruit vendors standing at the roadside are always waiting and ready to offload fresh fruits in many popular truck stops at a moment’s notice.Fresh fruits such as bananas and peeled pineapples are great for eating on the go and they are inexpensive. If you prefer, you can also opt for yoghurt or mixed nuts. Vegetables are essential to a trucker’s diet because they improve concentration and focus levels on the road. Green veggies especially contain Vitamin K which lowers cholesterol and preserves a trucker’s vision. A large amount of green veggies including spinach and sukuma wiki (kale) should be eaten at least twice a day. Dehydration is a trucker’s worst enemy because it affects the driver’s capability to concentrate on the road. Truckers should try to consume at least 3 liters of water throughout the day so that they can make sure that their bodies are functioning optimally. Furthermore, water ensures that you feel full for longer allowing you to drive further before you have to take your next break. Truckers should ensure that they avoid soda and any fizzy drinks at all costs unless extremely necessary. Soda dehydrates the body and it causes one to suffer exhaustion at the end of the day. Rather than opt for soda, a healthy trucker should choose healthier beverage options such as tea or juice. A trucker’s quality of food is just as important as their quality of sleep. Truck drivers should sleep for not less than 7 hours daily in a dark, quiet and comfortable place. Sufficient sleep is critical as one in five deaths on the road are often caused by drivers that fell asleep while driving. If you are working long hours, sleep is your best bet for guaranteeing s safe arrival. Taking a break every 2 to 3 hours to stretch or do simple exercises like start jumps can help you to feel more energized if you are driving for more than hours. You can also take a few minutes to do some stretches such as touching your toes so that you can get your blood flow circulating well. Driving long distances is an extremely boring job especially if you have been doing it for a long time. It is therefore very easy to get distracted or become too engulfed in your thoughts. Dwelling on your thoughts for too long can be a bad thing as it can cause irrational emotional reactions that can distort one’s thought process. Truck drivers can stay alert and fresh easily by listening to a range of musical styles or by tuning in to an array of radio stations. The options out there are numerous so it really is all about preference. 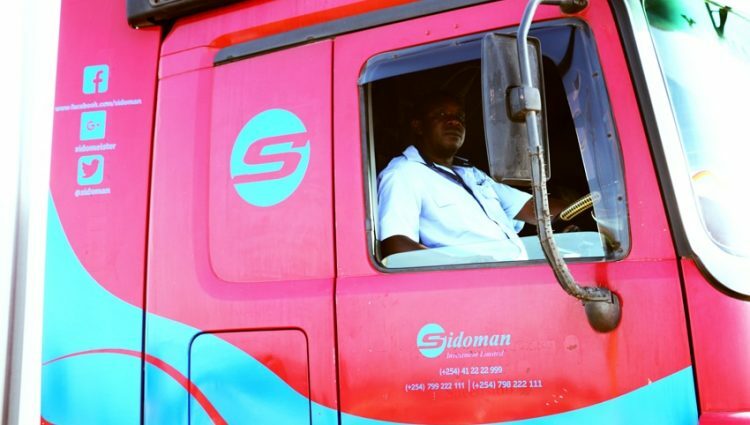 Sidoman only uses the most qualified and best trained truck drivers to ensure that your goods arrive safely and to guarantee the safety of the driver and other road users. Learn more about our truck drivers or request a quote here. 5th Floor, Office Number 506, opposite Myspace.